Very excited to announce that in September we'll be embarking on our first West Coast tour in support of the KnowMads! Full list of shows available on our Shows page. No way! Thank you for voting us 'Best Band In Seattle' 2017 via Seattle Weekly!! We are most grateful to have the support of our fans, friends, and family on this musical journey! Thank you to everyone who came out and supported All Star Opera last night at The Capitol Hill Block Party -- For real, from the bottom of our heart, thank you. Last night was so magical. Never have we ever seen a concert at Barboza packed to the brim all the way to the back. Shout out ELIA, Natalie Mai Hall, and Andy Rupert of Decent at Best for joining as guest performers. Major love to Abdirahman O Mohamed for coming through and taking photos. Security informed us that the room was packed to capacity and there was a line out the door. Security also told us they were diggin' the music so much that they stopped paying attention to the door and let the show go over capacity at a certain point. That is love. Regardless of not being mentioned as an 'Act You Should See This Weekend' by any major local news outlet -- We were determined to put on a show that would leave a lasting impression with everyone who did attend. Friends, family, and tons of strangers showed out for us in a major way. In turn, leaving a lasting impression on us, beyond our wildest dreams. We really can't thank you all enough. We love playing and creating music together and we'd like to think it shows on stage. Stay tuned for the many new tunes and adventures coming soon from All Star Opera! Thank you to The Capitol Hill Block Party for having us be a part of the festival. It was an honor! Peace and light to everyone's week and beyond! THIS IS NOT A DRILL! WE NEED YOUR HELP PEOPLE! We are extremely honored and humbled to announce that we, All Star Opera, are a finalist for Seattle Weekly's 'Best Band In Seattle' w/ the likes of some legendary acts! Help us by placing your vote for All Star Opera before July 11th, 2017! We have tons of new music for your ears this year - we deeply appreciate any and all support that we have received from you. We're excited and proud to announce that we will be one of the many dope artists performing at Capitol Hill Block Party next month! Tickets on sale now! Catch us live on the Barboza Stage - Satruday, July 22nd! 'MUTUAL TONES' FEATURED IN CITY ARTS! Shout out to Jonathan Zwickel of City Arts for featuring our latest collaborative single with our friends, Decent At Best in the June edition of Attractive Singles! 'Mutual Tones' is available for streaming on Spotify, Soundcloud, and Apple Music. ASO X DAB FEATURED ON BLOWUPCO'S "SLAPS ON DECK"
Shout out to The Blow Up for featuring our Decent At Best collaboration, 'Mutual Tones' on their April Edition of Slaps On Deck! Very excited to announce the release of a collaborative single with our Tacoma-based friends Decent at Best, entitled 'Mutual Tones'! Huge thank you to Respect My Region for premiering the song and RMR's Mitch Pfeifer aka M-Pyre for supplying the track with drums. Availble on Soundcloud, Spotify, and Apple Music. Enjoy! We have newly designed tees available on our Etsy page! Available in sizes S, M, L, and XL! Enjoy the latest installment of "Jammin' at Grandma's Gallery", now available on YouTube! UPDATE: We are excited to announce the addition of musical performances by Sendai Era and Isabella Du Graf as well as the addition of Abraham Tadesse who will be hosting the event. Your Future Friends presents A Night At 2312 -- a night of music, art, and community. Saturday, March 18th, at the 2312 Gallery in Belltown. Proceeds go to the ACLU! Come out with your current friends and make some new friends together! **Your Future Friends strives to transcend mediums & communities through art. We're pleased to announce we have more ASO beanies in new colors (Black and Maroon) in stock and available on our Etsy! We were fortunate enough to have Natalie Hall bring her talents to the latest installment of "Jammin' at Grandma's Gallery", performing the single "Give You This Feeling" from our Shifting States EP. Announcing the opening of our official merchandise store on Etsy! 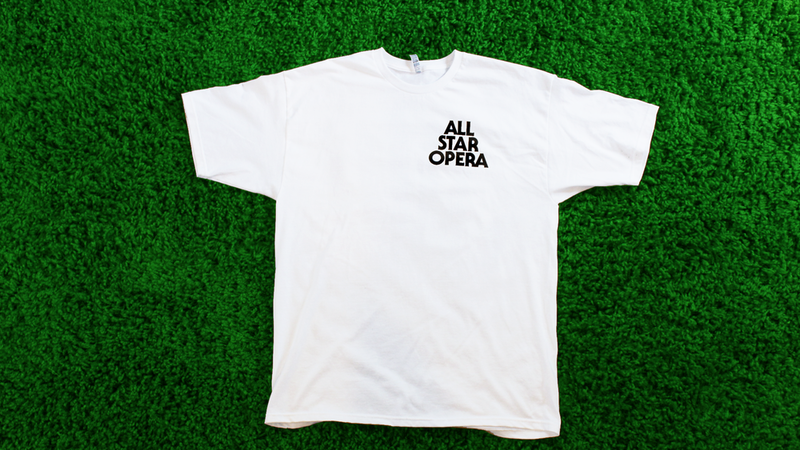 Now you can order merchandise online that was previously only available at shows--your destination for everything All Star Opera-related: shirts, beanies, and CDs! Decent at Best remixes ASO's "every night"
Excited to announce that our friends, Tacoma-based Decent At Best remixed our song "Every Night" from the Shifting States EP. Big thanks to Respect My Region for premiering the release! Today, All Star Opera was featured in The Blow Up, going in depth and answering our newly released EP Shifting States. Thanks to Carrick and The Blow Up for featuring us! Shifting States is now available to stream on Spotify. Getting ready to rock our EP release show this coming Sunday at the Sunset Tavern we had our friends from Kung Foo Grip (Greg Cypher & EFF Is H) and Campana of Cosmos stop by for this latest installment of our new YouTube live video series "Jammin at Grandma's Gallery". You can catch Cosmos and Kung Foo Grip with us at the Sunset Sunday! Big thanks to Mitch and everyone Respect My Region for featuring us on their site and plugging our new EP! Shifting States is now available to stream on Spotify. We're excited to announce the official release of our new EP entitled Shifting States, now available to stream on Spotify! Learn more about the recording of the album here. Excited to announce the first episode in our new YouTube video series, entitled "Jammin at Grandma's Gallery". This first episode debuts the track "Shifting Statements" off our upcoming Shifting States EP, releasing this Thursday, November 10th. Announcing the release of our second single, "Give You This Feeling" from our upcoming EP, Shifting States. This track features the talented Natalie Hall on cello and our keyboardist Seth McDonald on vocals. The Shifting States EP will be available November 10th. Announcing the release of our first single, "Lifeline" featuring Warm Gun. Watch the accompanying music video above, directed by 96 Films. Our upcoming EP Shifting States will be available November 10th.